Home » Blog » Charities » Creatures » Featured Articles » UK » Trevor’s Week for 30th September 2015. Trevor’s Week for 30th September 2015. We had another call last week about the cygnet on the pond at Ditchling Common. Again the reports were of the cygnet with fishing line and weights attached to him. On site we assessed the cygnet but found nothing. 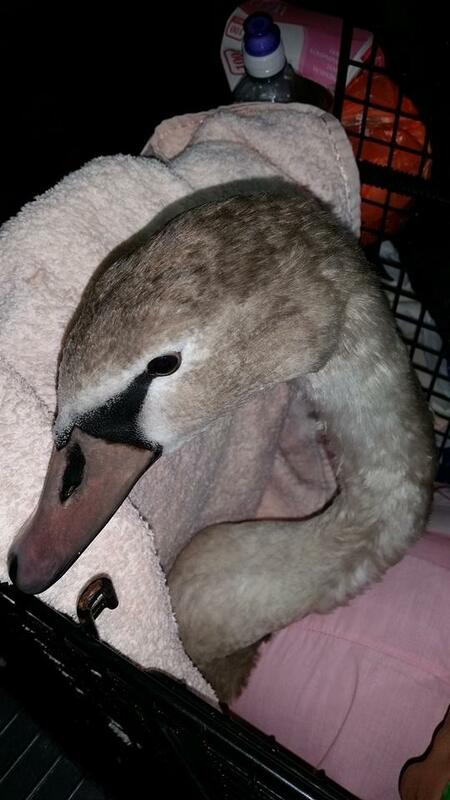 Rescuer Tony also attended a young swan sat outside an Eastbourne property for over 5 hours. The youngster was clearly not very well and very lethargic, so was sent up to the swan sanctuary for expert support. 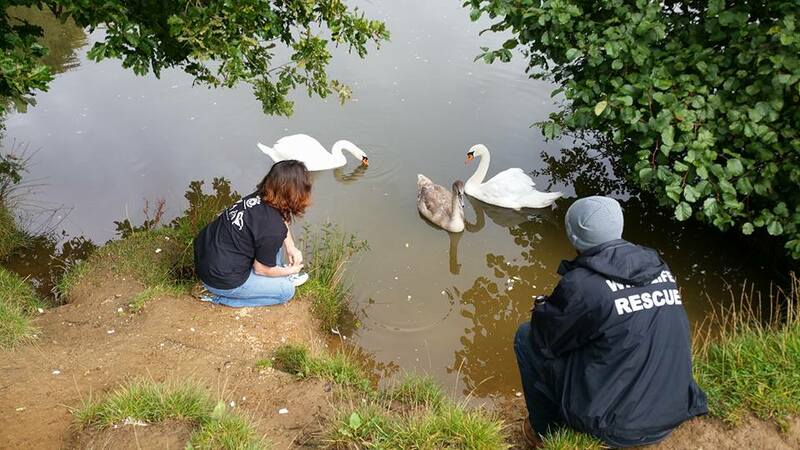 Thank you to the Swan Sanctuary for their help. We have managed to get loads more casualties out for release this week with the good weather. A kestrel found concussed at Wych Cross just of the A22 was returned home for release by volunteer Rose and fly off so quickly she hardly had a chance to film it! Our last group of garden birds have gone into aviaries now for release. We have had two blackbirds and a starling which have been very reluctant to fly. They have all come in as either collisions or cat attack victims which have caused wing injuries. We were starting to thing that they would never fly again. They have been some of our longest running garden bird patients this year. The final blackbird was released this week. 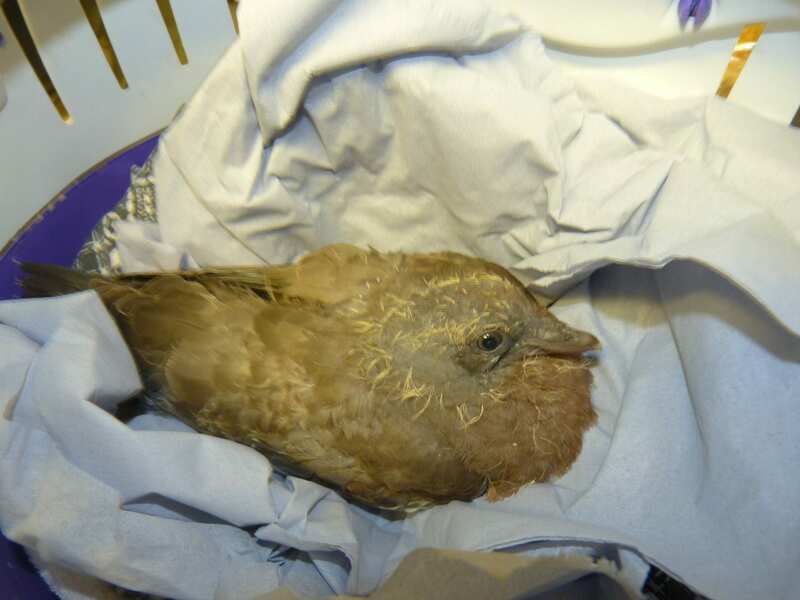 There have also been two young feral pigeons released in Eastbourne and two young wood pigeons in Rodmell and Eastbourne. Nine of our hand reared feral pigeons have gone to their release aviary in Burgess Hill, including baby Patch, Felix, Whiskas, Hattie and Eric. Four hand reared woodies have also gone into their release aviary. We also have two hedgehogs which have just gone out for release in Eastbourne and Westham too. Our white Aylesbury duck rescued at Princes Park is now fully recovered and ready to go to her new home in Essex. We are starting work this week within the Casualty Centre to finish off the work which was started a year ago to complete the new facilities. This autumn and winter should see us finish the Theatre, X-ray room, New Orphan Rearing area, Reception, the Store and well as Kathy’s Hedgehog overwintering and Maternity Shed in Uckfield. Now things have quietened down a bit, we will start our deep cleaning and disinfecting of all our facilities and look at doing maintenance work too. « Malta Diary “The lamps are going out all over Europe…..” yet again!